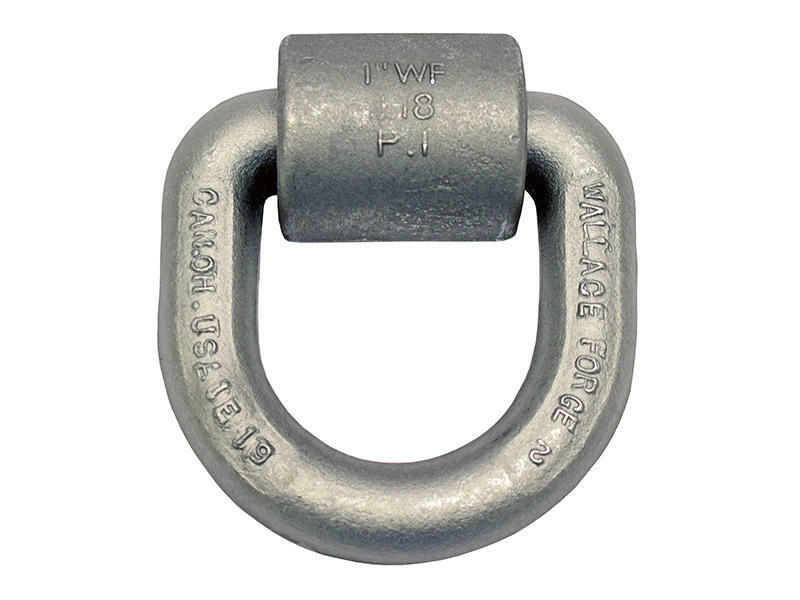 Surface mounted Heavy Duty Weld-On Tie-Down Ring for trucks and trailers. Unfinished steel D-Ring measures 5 inches O.D. Rated 15,586 pounds working load limit.